LAURA, la, la, la, la, la, la, la, la-a-a-a....! You know the song. It's hard to think of the title without the music by David Raskin popping into your head. 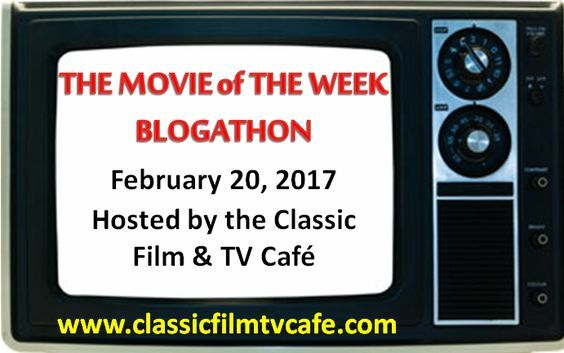 A personal note: This is one of only a handful of films in which Dana Andrews doesn't make me gag. I admit it, I'm not the world's biggest Dana Andrews fan. But he's terrific in this. He has just the right amount of square jawed truculence to make the cop who falls for an alleged dead woman, work. Okay, let's back up and begin at the beginning. 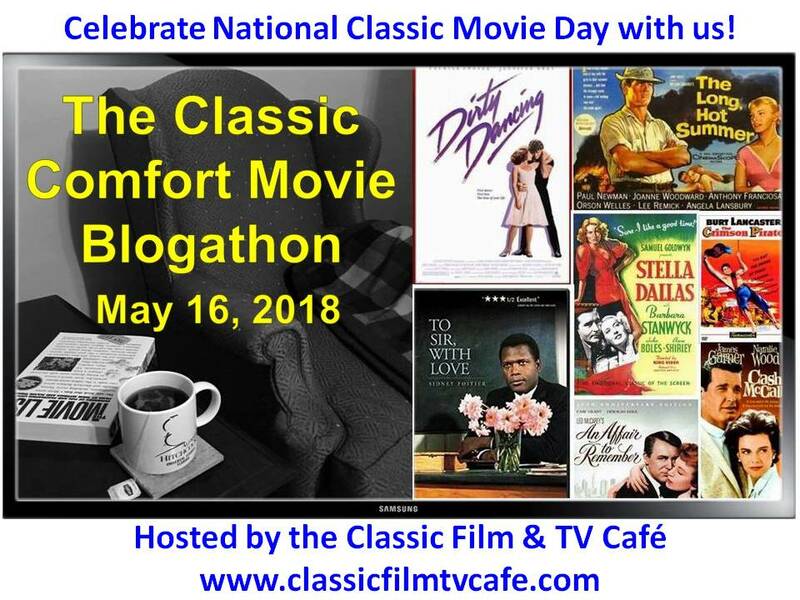 LAURA, based on the novel by Vera Caspary and directed by Otto Preminger, is a well-known classic noir flick that most everyone has on their 'favorites' list. I wasn't going to talk about it at all, but what the heck, even if it's popular and everyone knows it, there's gotta' be something new I can say about it. I'll give it a try. There are several things about the screenplay that bother me even though, on the whole, I love the film. Watch the trailer here. 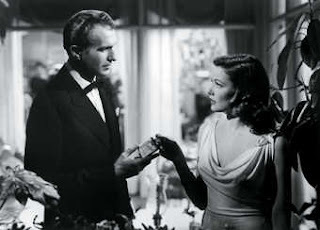 The story begins with a voice-over from the inimitable Clifton Webb as Waldo Lydecker recounting how he felt when he first heard about Laura's death at the hands of a shotgun wielding killer. So you get right in the mood from the very start. We meet and greet Laura only through a painting that hangs in her apartment and from Waldo's words as he reveals his special memories of her. Obviously Waldo is besotted with Laura and we're meant to understand that from the start. It's an odd sort of relationship, because you soon realize that if Waldo isn't gay, he's close enough as makes little difference. I mean, he is so prissy, you do begin to wonder what on earth is going on. As the story unfolds, it's also obvious that despite our suspicions about his sexuality, Waldo has placed Laura on a high pedestal in a kind of asexual exercise in denial. He can't have her and no one else is good enough for her either. That's the best I can make of it after seeing the film many, many times. Webb plays a pygmalion role to her galatea, I suppose. Though it's made obvious she doesn't really see him as a viable man. Webb gets in a few good zingers and plays the part to the hilt, but he is never a 'real' flesh and blood man. It isn't any wonder that Laura doesn't take his 'courtship' seriously, if she noltices it at all. Now, don't get me wrong, I love Clifton Webb, but his role in this film is SO disconcerting that I can only suppose it's meant to be. 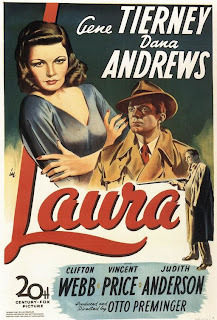 Anyway, once Laura is 'murdered', in comes Dana Andrews as Lieutenant Mark McPherson, the 'lower class,' stalwart, cynical cop in charge of the investigation. He is immediately taken with the large portrait of Laura that hangs in her apartment. And by the way, what sort of police investigation is this? The body is gone within a couple of hours and all is neat and clean with nary a chalk outline or unsighly blood. WHO CLEANED IT UP? - we never see ANYTHING untoward. The front doorway where Laura was shotgunned to death is clean as a whistle - not even a smidge of fingerprint powder is left. SHOTGUN splatter - what happened to it? It also appears okay for people to come and go in and around the crime scene, almost immediately - the next morning. Dana Andrews practically moves in and hangs around the apartment as subsequent suspects come and go and he spends time interviewing them and dropping insinuations. Something else which is kind of strange: the cops bug Laura's phone and set up surveillance in the basement to see if she gets any calls? HELLO? Dead women don't make calls. Furthermore: far as I know, dead women DO NOT RECEIVE CALLS. I've always wondered about this. This is before answering machines so any calls received, unless answered by a ghost were blank...see what I mean? The reason for the bugging is a plot device made clearer later when a phone call from the apartment is overheard and McPherson acts. But the reasoning behind the bugging is never made clear. I mean, who bugs a dead woman's apartment in 1944? What? In case the killer calls? Who's he gonna' talk to? Anyway, let me say a few words about Laura as a character. Gene Tierney is so beautiful she makes you doubt your own senses so you can't blame McPherson for getting addled. As played by Tierney, she is remote, self-contained and almost as silent as a clam. Laura's story begins from Waldo's point-of-view. For whatever reason, once upon a time he'd taken a shine to her when she'd shown up with a portfolio to try and get him (he's a famous newspaper columnist) to endorse a fountain pen for a magazine ad. From then on, he'd taken her under his wing and introduced her to all the right people and she moved quickly up the ladder of success. Waldo still takes her to the 'right' parties for some face-to-face networking, etc. (But mostly, I think, to show her off.) At one of these parties she meets Shelby Carpenter, played in an extraordinarily oily way by Vincent Price - my favorite male weakling. He is, at that moment, being kept by Ann Treadwell (played by Judith Anderson), an older woman who slavishly dotes on him in practically the same way that Webb dotes on Laura. But before the marriage takes place, Laura is killed. Okay, for the three or four of you who have never seen the film, there's a BIG SPOILER coming up. From then on, it's obvious that though Laura was the intended victim, another woman has been killed in her place. So this changes the point of view of the investigation. The dead woman turns out to have been a model from the agency whom Shelby had been bedding even while planning his wedding to Laura and having his bills payed by Ann Treadwell. See what I mean? The guy is Super-Creep. Since McPherson is half in love with Laura through her portrait, it's only a hop, skip and jump for him to fall for the real woman. And she, in turn, falls for him - literally overnight. One of the things I love best is how Waldo makes fun of McPherson and Laura's burgeoning affections - he calls McPherson 'sweaty' and 'muscle-bound' (or words to that effect), very funny. He insinuates that that's the only reason Laura has obviously fallen for him. Well, in truth, he has a point. The big denouement comes about in a very tense, very suspenseful fashion. Although why a certain piece of furniture is first searched by a certain cop is never revealed. WHAT WAS THE HUNCH? Give us a clue! And please notice how he re-inserts the certain something BACK inside the certain piece of furniture, holding it with just a handy hanky. The certain something is NEVER photographed in situ, nor is it dusted for fingerprints. Obviously tampering with evidence didn't matter way back when. But what does any of it really matter? All's well that ends well, as the killer is killed and Laura and McPherson the sweaty cop, live happily ever after. In my view, the reason why the film works in spite of its faults, is the overarching, melodramatic mood that director Preminger and the production designers create. The fabulous shadowy cinematography sets the mood and holds it. This is one instance where Preminger's penchant for melodrama works well. And Tierney is so damn beautiful, she is the hub around which the whole thing turns. The fact that her character is essentially a hollow center, makes no difference. The film is more than the sum of its parts. I admit I never get tired of watching it. Fun review of a movie in which I think just about every character, like Clifton Webb's, is disconcerting. They're all a little off kilter. I have to guess it's intended. By the way, as regards your aversion to Dana Andrews, have you ever seen "Best Years of our Lives" and how would you rate his screen presence/acting in that one? I confess, "Laura" is one of those movies I have a hard time seeing for what it is because I can't get the Carol Burnett parody out of my head. Every time they show Gene Tierney's portrait on the wall, I think of the Burnett cheesy copy, and I bust a gut. Jacqueline: Dana Andrews in BEST YEARS OF OUR LIVES is one of the few roles I like him in. He looks so wonderful next to Theresa Wright's young and naive girl. Virginia Mayo is great in this too, by the way. Andrews could act, with the right director. He's pretty damn good in BYOOL. Remember the scene in the gutted airplane? Wohderful. He's able, too, to project yearning in a very nice way. I don't know what the hell happened to him later. "Off-kilter" - yes, exactly. I wonder sometimes what that was all about. I think, really, it was the script and, obviously, the direction. It's amazing to me that film still works. That is a good film, love that song. Jean Tierney was so beautiful. I understand she had a sad life. Ha! Ha! Ha! 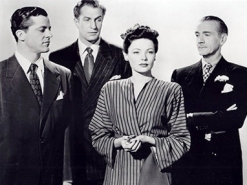 Who knew I could read a review of the fantastic film classic "Laura," and laugh my head off. Your comments about the actors and the setting are hilarious. Of course Clifton Webb and Vincent Price are creepy. Dana Andrews is perfect in this role. I have seen this movie several times but don't remember all of this, as you do. Yvonne: Yes, she had a sad life. I think she suffered from depression which can be debilitating in and of itself. But she also - in an eerie similarity to her film role - did not have the best choice in men. Sometimes beautiful women are their own worst enemy. You're perfectly right about today's movies. It is a rare thing to feel the sort of affection - the savoring of the moment - for today's films. Ummmmm....I think I'm one of those 3 or 4 people who have not seen this. For some reason I thought I had, but after reading your review it doesn't sound familiar. I guess I'm going to have to catch up. Gene Tierney suffered from depression, but also she contracted rubella while pregnant, and one of her children was born with severe birth defects and health problems, which affected her greatly. Kathy: Well, if your child is ill, it's bound to affect your outlook on life. She was such a beautiful woman. Happiness and beauty don't often go hand in hand, I'm afraid. For years I used "waldolydecker"on an on-line movie forum. 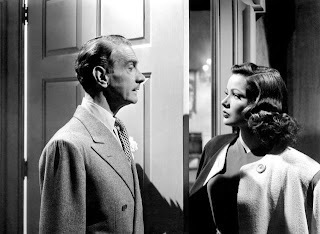 Clifton Webb is brilliant in this movie. His dialog is so nastily quotable, too. I think this is the ultimate movie mystery about obsessive love. I always refer to it when ever anyone asks "What's your favorite...?" The book is just as brilliant in the way it's constructed with multiple viewpoints and how the story slowly evolves. And come on with a beauty like Gene Tierney you know she's not just going to appear in flashbacks. 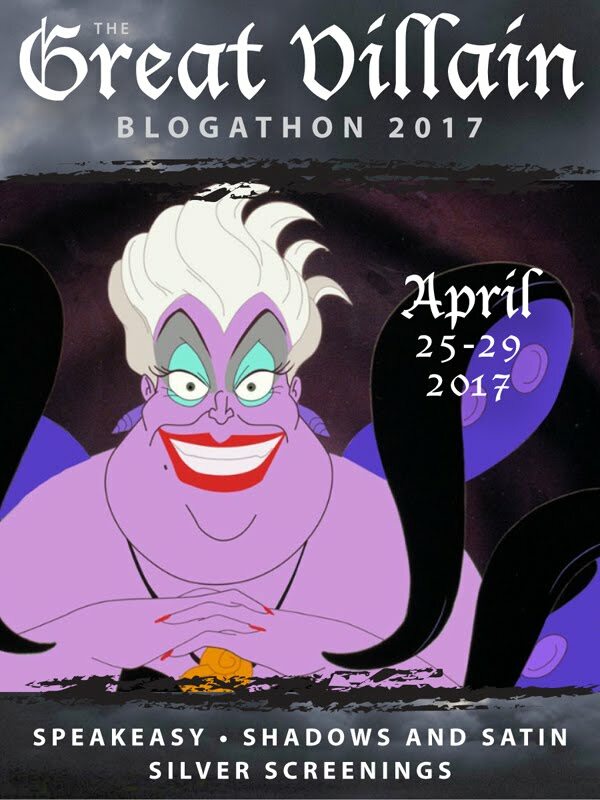 I thought this was odd the first time I saw it - a star and she's playing a dead woman? Something twisted is going to happen. And it does. After all these many years, it's hard for me to be TOO serious about the film. And yes, when you first see the film, you realize that Tierney CAN'T be REALLY REALLY dead. But the whole shotgun in the clock thing, I'm sorry, it's laughable the way McPherson handles it and the denouement. But maybe when you've only seen the film once or twice, it makes some sort of bizzaro sense. Despite all this, I still LOVE the film and watch it whenever I get the chance. Go figure. Great account of a fun movie. You're quite right, there is something strange about the tone of this film, something hard and polished, perhaps brittle. I think there is a kind of dream logic at work in the film, where plausibility is subservient to compulsion. For the record: I love Dana Andrews in this and especially in 'Best Years'. Still, there was always a stiffness to him, and his alcoholism coarsened his performances as time went on. I watched 'Night of the Demon' (1957) and he's pretty bad in that. Shelby Carpenter is one of my favourite Vincent Price roles. What a snake! Oh, Dana Andrews is wonderful in this AND in BEST YEARS OF OUR LIVES. Alcohol is a great destroyer. Too bad. Even the name, 'Shelby' is oily and snakey. Ha! Yvette, one of the things I enjoy most about your reviews is your tart, tell-it-like-it-is sense of humor! Much as I adore LAURA (both the book and the film), I'll agree that there are elements in the film that modern audiences might find hard to swallow, even with a slug of Black Pony! 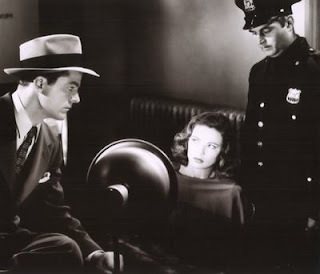 :-) However, mood, style, and a cast you can't take your eyes off of can count for a lot in a film like LAURA. Atmosphere goes a long way in LAURA, and I'm at peace with that. :-) I'll be interested in seeing what you think of my LAURA review tomorrow (barring unforeseen circumstances). Isn't it great that so many of us classic movie fans can have so many different takes on the same film? Great post, Yvette; I hope your Blogger problems will be resolved soon so you can blog with carefree abandon again! Yes, I had fun with this one. But much as I might make fun, I still love the movie. Go figure. 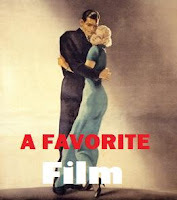 Hey, Yvette, we kid our favorite films because we love them! Oh, for sure, Dorian. I wouldn't bother with a movie I didn't like. Where's the fun in that? I just watched Laura for the first time last night, really enjoyed it, though I found it highly problematic. Here are my thoughts on Laura, if you're interested in the thoughts of a newbie! Excellent! We newbies have to stick together. :) I liked your blog very much. Great review. The Laura-Waldo relationship has always puzzled me. Maybe she's like the daughter he never had and feels the need to protect her like any caring parent would? But then at the end when he dies he calls her "my love." Huh? Then again, maybe the guy got "friend-zoned." I mean, if you're going to have a private dinner with a woman, make a move. Point is, every time I watch this film I can't help feeling sorry for Waldo.